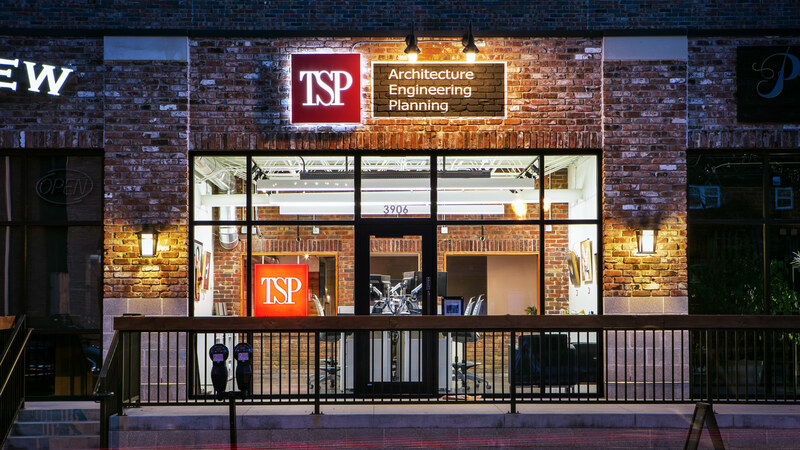 Located within the Blackstone District, TSP’s Omaha office capitalizes on the energy of this reinvigorated, established neighborhood. Nestled in a central bay of an existing building, the narrow office space embraces the engagement of neighbors, pedestrians, and clients through the location of programmed spaces. The office’s back entrance opens through storefront to an adjacent wine shop patio. White walls push into the space, surrounding and forming the bathrooms and the kitchenette, where a reclaimed wood countertop contrasts with the white walls and gray cabinets. 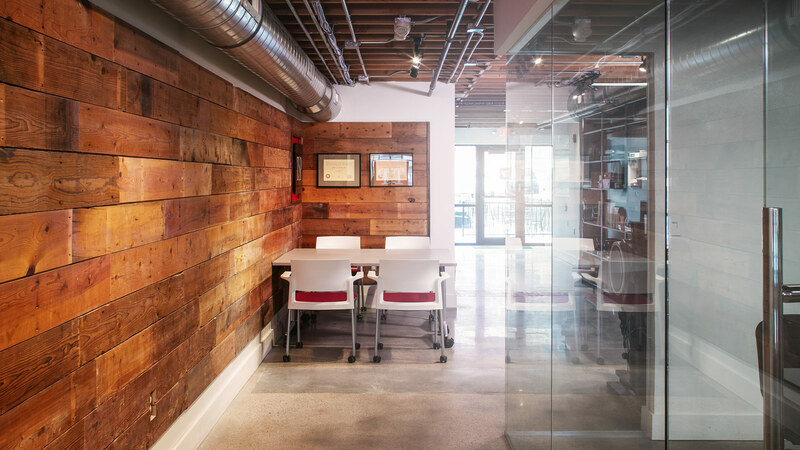 Continuing to the front, a work area featuring the material library and mobile tables is set against a reclaimed shiplap wood wall. 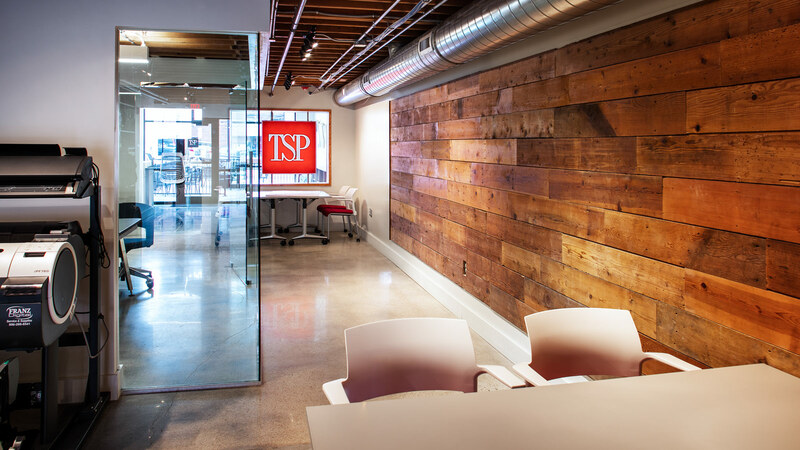 This shiplap pulls the space past the glass-enclosed conference room at the office’s midpoint. 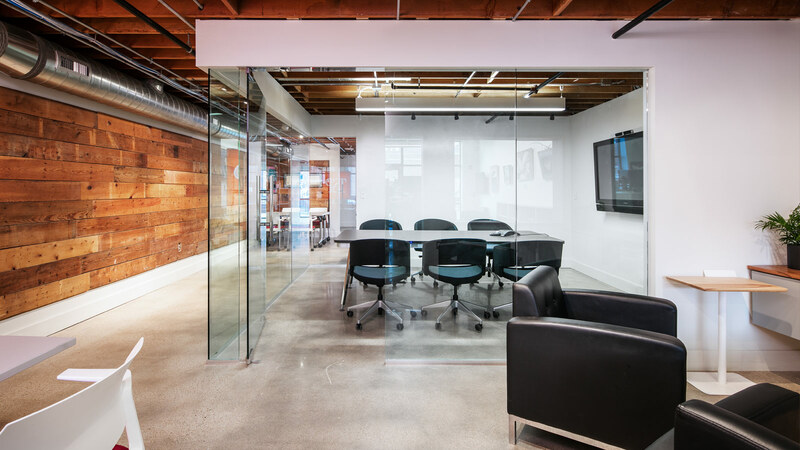 The entire space encourages collaboration within the conference room and sitting spaces. 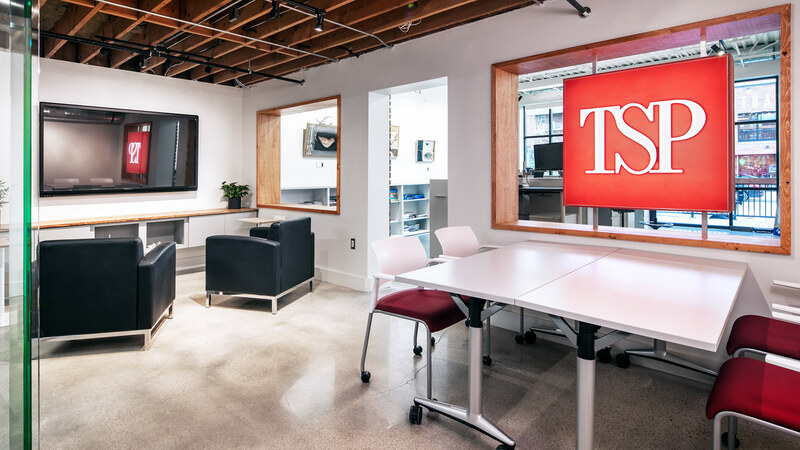 Walls are covered with writable paint, and touchscreens provide digital interaction. 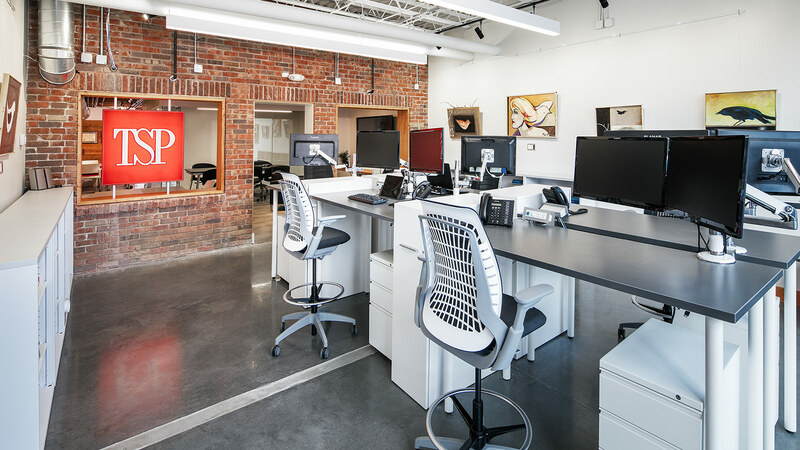 Within the large front gallery work space, white walls bathed in natural light contrast from the existing brick façade. Here, the staff occupies open workstations—with plenty of room for visitors to view the rotating guest artist’s work. 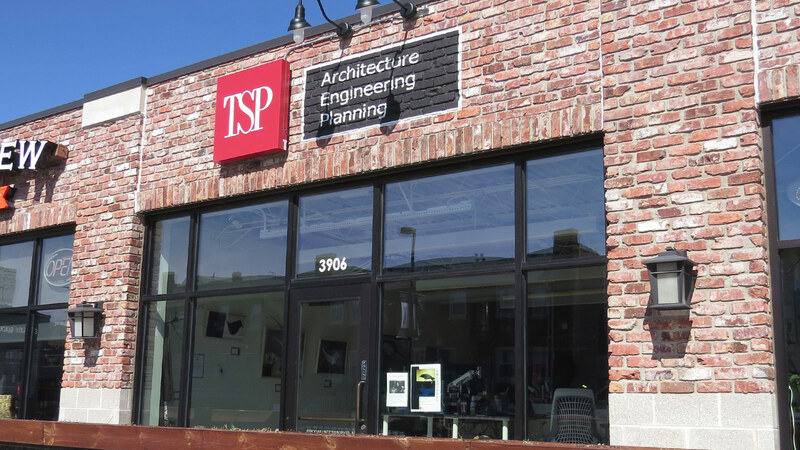 Through the large storefront façade at the main entrance, pedestrians can be seen bustling about the neighborhood.